Who can refer a client for rehabilitation? How can a referral be made? 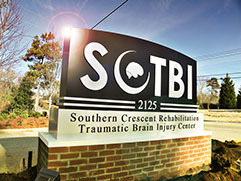 Southern Crescent TBI Center offers comprehensive care and a full-range of TBI services which ensure our patients successfully recover from their injuries. 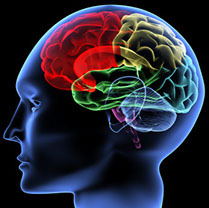 We do this with the help of our specialized services in the treatment of traumatic brain injuries. Multi-specialty doctors work as a team to foster the speedy recovery our patients, and courteous medical staff tend to our patients. Every staff member is committed to making every patient's stay as comfortable as possible. We have effective leadership and management which is responsible for spearheading smooth operations and giving a strategic direction to our Center. 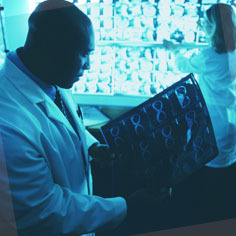 Our unique approach to treatment involves including the patient and his or her family members in making decisions about the care. We strive to address both the patient and his or her family's concerns by addressing them accordingly and attempting to limit stress and discomforts. We are committed to providing superior patient care through the best medical staff, the latest medical technologies, and in the safety record of the Center. With such important value-added assets, we ensure excellence at every step of the recovery. A Traumatic Brain Injury (TBI) is a complicated condition that results from physical trauma, chemical disruption, or nerve damage to the brain. 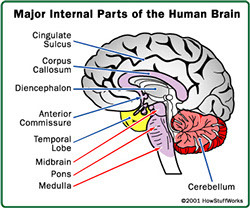 A TBI is considered to be an “acquired” injury after birth. TBIs contribute to a substantial number of deaths and cases of permanent disability annually. The CDC estimates that at least 5.3 million Americans, about 2% of the U.S. population, currently have a long-term or lifelong need for help to perform daily, routine activities as a result of a TBI. 1.1 million are treated and released from an emergency department.